There’s nothing that gets my mojo going as much as designing for Christmas… and I figured, the shops have their festive displays happening, so why not decorate my blog early too?! Do you like my new banner? She’s a little shabby chic, and if you look closely, she’s a little sparkly too, loving to adorn herself with bling when the stardust falls from the sky on those cold crisp nights! 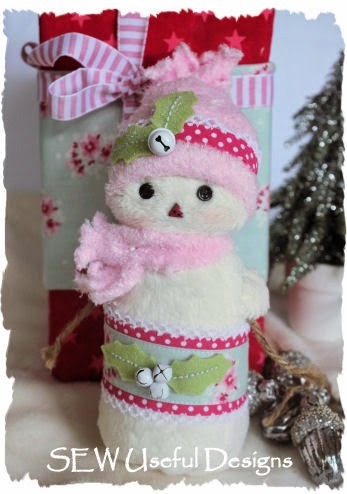 This sweet mademoiselle measures 20cm x 9cm (8in x 3.5in) and is constructed with minimal sewing. I only used my sewing machine to stitch three straight lines and the rest was done by hand in no time at all. Which leaves more time for the fun bit – embellishing! The pattern is available for Mademoiselle Snow as a PDF from my Craftsy store here, or as a paper pattern in my shop here, for just $10USD (inc. P&P if purchasing a paper version). 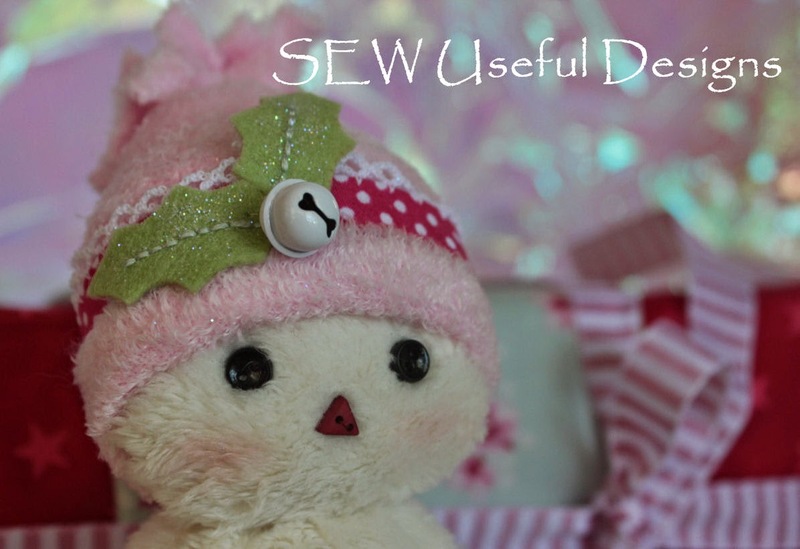 I had it in mind to make some pretty pastel Christmas decorations and was inspired to create this first one when I started sewing with faux fur. I used fur by Tilda ™, and purchased it from Shabby Art Boutique. You only need a fat eighth to create one snow-lady… but can you just stop at one? I couldn’t! I hope you have a fantastic day! I’ll be back tomorrow with some more news!! Until then – snowy hugs! She is so cute and sweet, Vikki. Oh, Vikki, you've outdone yourself with this precious shabby chick!! And yes, your new header is beautiful. Fear is nothing if it is not getting out of the normal circumstances for the people. It has been marginal for the occupation of the terms. The fear is concluded as the australian writings review negative item for the furnished items for the members in different colonies.